North Shore Action arranged the town hall that focused on suicide prevention. 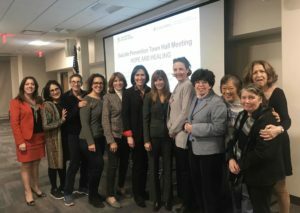 North Shore Action presented a community-wide mental health forum in the Great Neck Library community room for the second year in a row. 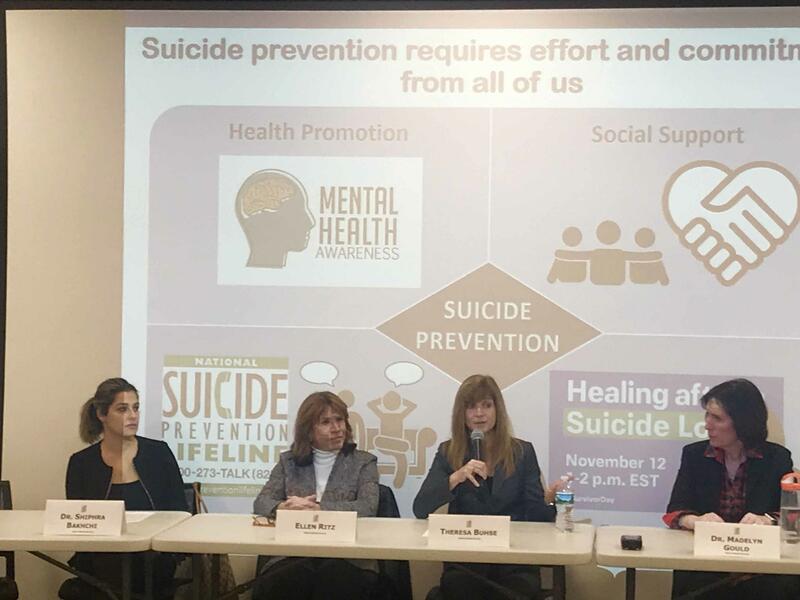 The room was filled to capacity on Nov. 14 when experts gathered to discuss the very serious subject of suicide prevention. The panel included Dr. Maddy Gould, a Great Neck resident and professor at Columbia University; Theresa Buhse, the new director of the Long Island Crisis Center (LICC) in Bellmore; Ellen Ritz of National Alliance of Mental Illness (NAMI); and Dr. Shiphra Bakhshi, a clinical psychologist and Great Neck resident. 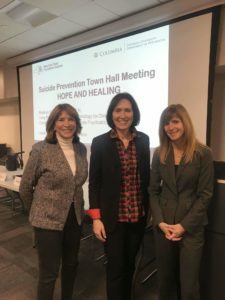 All of the experts confirmed that suicide is one of the most difficult issues to discuss with a loved one or friend, and it is a tragedy surrounded by myths and misinformation. Due to biological or social factors, certain individuals are vulnerable. Their vulnerabilities can trigger a crisis that leads to severe emotional pain, and suicide is viewed as the best way out. 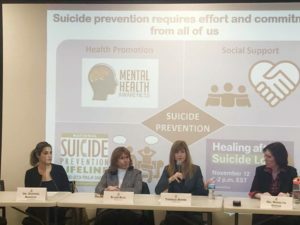 The good news is that suicide is preventable in many cases, especially if bystanders and loved ones intervene to encourage treatment and other options at a person’s darkest moment. Referrals to experts in the community can also be extremely effective. The experts confirmed that suicide is one of the most difficult issues to discuss with loved ones. 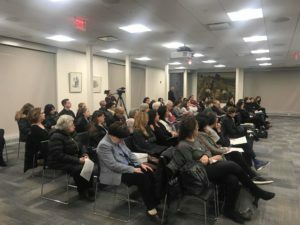 Bakhshi cautioned that young adults in Great Neck, especially girls, are held to very high standards, which can lead to extreme anxiety, including self-harm and cutting. Treatment from a mental-health expert can bring relief and effective coping mechanisms. But, parents need to understand the needs of their child and prioritize their well-being. 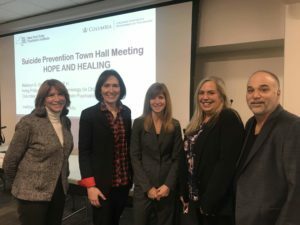 The goal of Great Neck’s first-ever Suicide Town Hall was to bring light into darkness: first, by providing information and resources to individuals and families who are dealing with significant mental-health challenges; and second, by reducing the shame, stigma, prejudice and discrimination faced by those who are struggling. 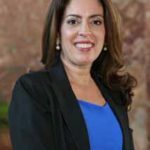 As a local resident, wife and the mother of four teenagers and young adults, my interest in bringing the forum to fruition hailed from various sources. While earning my psychology degree, which focused on victimology, addiction and conflict resolution, I learned that suicide rates are up nationally almost 30 percent in every age group. 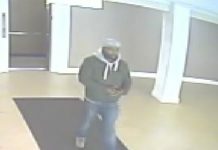 As an LICC volunteer, I heard the phones ringing off the hook this past year. I subsequently joined the Board of Directors of LICC, which offers services that are free and fully confidential. 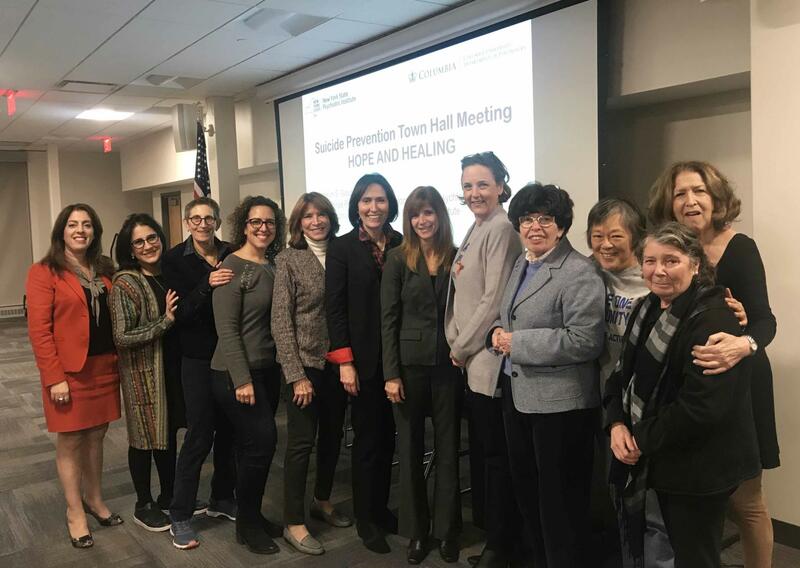 On a local level, the mental-health crisis was also reinforced by my daughter Tamara, who recently obtained her Master’s degree in Social Work, after an extensive internship at the guidance offices at Great Neck North High School and Middle School. In our many conversations, Tamara described how dedicated and caring the school staff is. She also confirmed what most of us already can guess: There are overwhelming needs of students who are suffering from untreated anxiety and depression due to academic demands, bullying, peer pressure, substance abuse, domestic violence, family dysfunction and LGBT and gender issues. According to statistics, gay and transgender teens attempt suicide at up to seven times the rate of their peers. Bullying, isolation and anxiety can contribute to deadly despair. Buhse described the unique services of Pride for Youth, an agency serving the needs of gay and transgender teens. 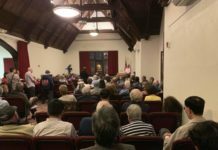 The Great Neck Library community room was filled to capacity. Gould ended the program with a note of optimism: The vast majority of individuals who are vulnerable do not end their lives. Most of them do reach out for help. This is cause to be hopeful. Attendees left with information, resources, referrals and, most importantly, practical advice on how to save lives. 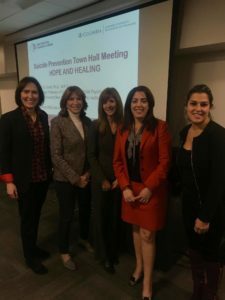 In addition to the expert panel, several other mental-health professionals attended the event, including Izabelle Hakim and Dr. Sarah Rabizadeh. Other attendees included Keith Lewis and Denise Cahill of On Track, Michelle Kirkpatrick of COPAY, Great Neck Library trustee-elect Mimi Hu and Rebecca Sassouni of the Great Neck Board of Education. 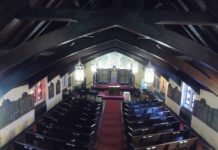 PATV filmed this important program, which will soon be available to view online.